So on Wednesday March 14th at 7pm, please join Burgundy importer David Smith along with Domaine de la Pousse d’Or owner Patrick Landanger and new general manager Benoit Landanger (son of Patrick) at the Wine School at l’Alliance Française for a tasting of ten wines from the Domaine de la Pousse d’Or. Originally created in 1954, Domaine de la Pousse d’Or has long been among my favorite domaines of Burgundy. I first tasted two of the Volnays in the early 1980s and got to know the range of wines better tasting with Becky Wasserman (who was then their broker) in 1986. I’ve been tasting at the domaine for the last fifteen years. 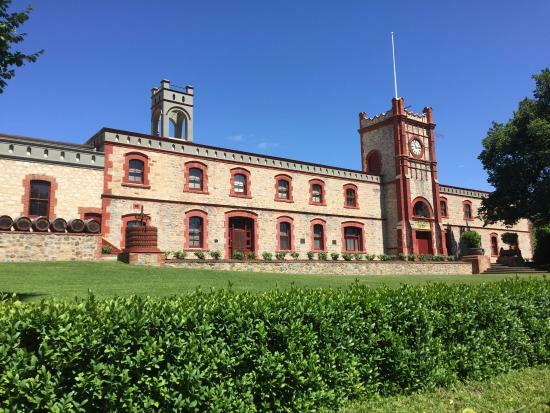 Patrick Landanger purchased the property in 1997 and immediately began investing in bothe the physical plant and the vineyards. Since then, I have watched as Pousse d’Or improved in quality and grew from a Volnay specialist with some Santenay and Pommard to include vines on the hill of Corton (1999), in Puligny Montrachet (2004), and in Chambolle and Morey (2008). At this time Spec’s is able to purchase thirteen wines (one village appellation, nine 1er crus, and three grand crus) from the estate, all of which are consistently excellent. (There are four wines we don’t get – yet.) We’ll taste through ten Pousse d’Or crus from the fine 2014 vintage including nine reds and one white with special attention paid to the specificity of place and process of each wine. 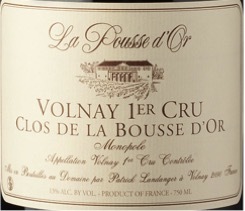 Domaine de la Pousse d’Or 2014 will cost $50.00 per person (Cash or Check) or $52.63 regular. The class will meet at 7pm on Wednesday March 14 at l’Alliance Française. To purchase your ticket, please contact Susan at 713-854-7855 or coburnsusan2@gmail.com. *I am will be in the hospital on Wednesday recovering from surgery to reconnect my previously rerouted plumbing. I hate to miss this because I love these wines but this is a major step forward in my healing process. Please join me, Spec’s fine wine buyer Bear Dalton, at 7pm on Monday, November 27th at The Wine School at l’Alliance Française in welcoming Heitz Cellar’s Daniel Vu for a Heitz Cellar Seminar and Tasting. In this single winery tasting, we will taste through and discuss the range of wines from the legendary Heitz Cellar of Napa Vallley as we look at how they are made, their styles, and from where and what grapes they are made. We will taste the full range of their classic wines available in Texas including 5 vintages of the iconic Heitz Martha’s Vineyard. All wines tasted will be served in Riedel Degustazione stemware. A selection of cheeses and bread will be offered. 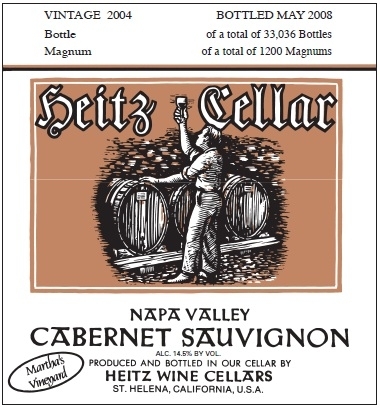 The Heitz Cellar Seminar and Tasting will cost $80 per person (cash or check) or $84.21 (regular). To purchase your ticket, please contact Susan Coburn at 713-854-7855 or coburnsusan2@gmail.com. If you purchase a ticket and will not be able to attend, please cancel at least 24 hours before the class or you may be charged. Later cancellations will not be charged if we can fill the seat. This is often case as we regularly have waiting lists for these classes. Please join Spec’s fine wine buyer Bear Dalton at 7pm on Monday, November 20th at The Wine School at l’Alliance Française for Estate-Bottled Champagne. In Estate-Bottled Champagne, we will taste and discuss the range of interesting and sometimes idiosyncratic estate-bottled sparkling wines from Champagne. We will look at how they are made, their styles, and where and from what grapes they are made with a focus on each wine’s specificity. The tasting will start with a non-estate grand marque brut NV to serve as a baseline and will include one other negoçiant Champagne (the excellent Barons de Rothschild Blanc de Blancs). Everything else is estate bottled. All wines tasted will be served in Riedel Degustazione stemware. A selection of cheeses and bread will be offered. Estate-Bottled Champagne will cost $80 per person (cash or check) or $84.21 (regular). To purchase your ticket, please contact Susan Coburn at 713-854-7855 or coburnsusan2@gmail.com.